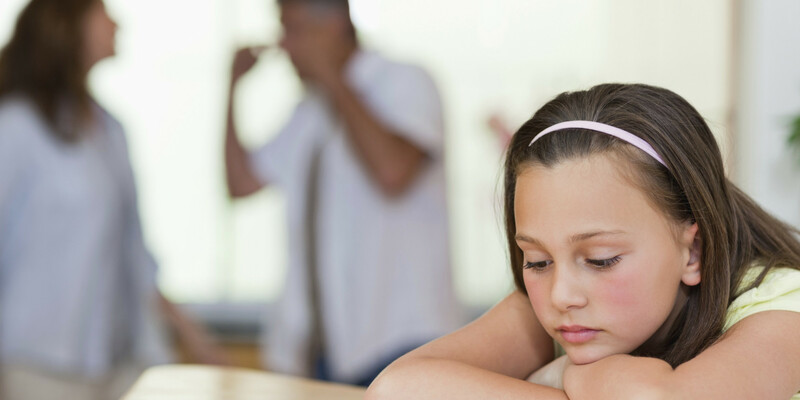 Parents need to keep their hostility for each other out of their dealings with their children. This begins by telling yur children honestly and in a language they can understand that you are separating. Wherever possible, the news should be delivered by both of you, together. You need to be ready to answer questions about what will happen to the children. It is important that they know you are divorcing EACH OTHER, not THEM. They need to know that they are loved, that the divorce is not their fault, and that it is normal to feel sad, hurt, and angry. Hiding things or lying will only confuse children and increase their anxiety. Again, use a language that is appropriate for the age of the children. It is not necessary to go into sordid details about anyone’s infidelities. There will e a time later, when the children have matured to explain appropriately about any breaches of the marital boundaries in a way that will help them learn what not to do. The news of a divorce is upsetting to most children. A few older children protect themselves by appearing aloof. However, it is not normal for a younger child to be detached and withdrawn after the news. You can expect your child to exhibit his feelings by crying, loss of appetite, troubled sleep, nightmares, whining, clinging , and thumb sucking. Behaviors hat indicate that a problem could be withdrawal, silence, loss of interest in friends, delinquency, school refusal, problems in learning, sexual perversions, or repetitive rituals. Pretending that parents are still together is also a common method of dealing with the situation. If a child exhibits any of these symptoms consistently after a year’s separation, you should probably seek professional guidance. Research sows us that 50% of young children going through a parental divorce will not show any symptoms. The other 50% do–usually recovering in a year. However, divorce leaves its mark.. The best that children learn from divorce is that no one loves each other enough to stay. The problems tend to surface at dating age when we see fear of commitment or avoidance of the dating experience. These children may actually date–many of them do. However, they avoid the intimacy for fear of being abandoned. girls who lose fathers may act desperate for a man and look to him to be a father rather that a partner. It is easy to traumatize children by asking them to take sides or putting down the other parent; forcing them to choose between other and father. Children need to know and love both parents. Though they may object to a parent’s choice of where they are to live, they will usually accept it if they perceive the parents to be in agreement about the choice. This means parents must make difficult choices in the best interests of the children. Non-custodial parents often feel powerless and left out. Actually, they have a great deal of power. Because the children see less of them., they are often more attentive to them. Non-custodial parents can teach a great deal as my own father did when he taught me how remarriages can work. I lived with my mother who did not remarrry so she could not give me a model for a successful marriage. This is something the step-family can do if it is successful. Ask for help with parenting from your close friends whom the children know and trust and also from family members. The children need you but you, too, need support from peers and family. Remind the children that they are loved. Accept your feelings as normal and allow the children to do the same. Grant freedom to express feelings. Communicate honestly abut the divorce and keep the children informed about what is happening in terms that they can understand. Realize that growing up has its good times and bad. Not all children’s problems are related to divorce. Reassure children that the divorce is not their ault. Show your children that there is a life after divorce; that you can survive such a difficult time and go on with your life. This is one of the most important things you can do for them in order to encourage them to want to grow up and deal with life in spite of its disappointments. Don’t subject your children to hostility. Don’t encourage them to take sides or use them to hurt your ex. Criticizing the other parent makes them feel bad about themselves becaue the other parent is part of them. Realize that if you are determined to make your ex suffer, you are not free of your marriae and need help to deal with your hostility in a constructive way. Don’t overindulge your children out of guilt. Children need limits and feel insecure when they are in charge of their parents. Don’t use your children as emotional support when you feel lonely, angry, or depressed. Discussing adult problems with children robs them of their childhood by making them worry about their parents. Don’t paint a false picture of your ex. Making the other parent out to be either a saint or a villain makes the children suspicious of you. They disrespect attempts to alter the truth. Don’t reject yourself as a failure. All normal people make mistakes, Work to put your life back together.Find out what part of the break-up relates to difficulties of your own so that you won’t make the same mistakes again with a different partner. Working with someone trained to help people improve their relationships can often prevent the same mistakes from recurring.